The historic winery came about as a collaboration between Mike Grgich, winemaker of the famed Chateau Montelena of the 1976 Paris tasting and Austin Hills and Mary Lee Strebl of Hills Brothers Coffee. The Winery was created in 1977. Grgich Hills has always been making wines with an old world style within the New World. In 2000 they started to grow organically. By 2005 they were farming biodynamic. The wines of Grgich Hills have changed through out the years. That being said, the one thing that has been consistent is that the wines are truly made to age! Aromas of white peach, citrus, mineral with a green undertone. It is rich on the palate with crisp and clean mouth-feel. This Sauvignon Blanc is dry with upfront grapefruit flavors and a rich texture. This wine sees 10 months of mixed French barrels without malo. It comes across with a pear, peach and floral aromas. It has a medium body, great acidity and toasty on the finish. I kept getting orange peel on the palate. This is made from 50 year old vines and aged in 1 year of mixed French oak and 6 moths of stainless. The aromatics are a bit more intense with peach, wet wool, mushroom. The wine is rounded and the fruit takes a back seat to the terroir. It has a real zing of acidity and can be confused with Chablis…did I just say that about a California Chard? 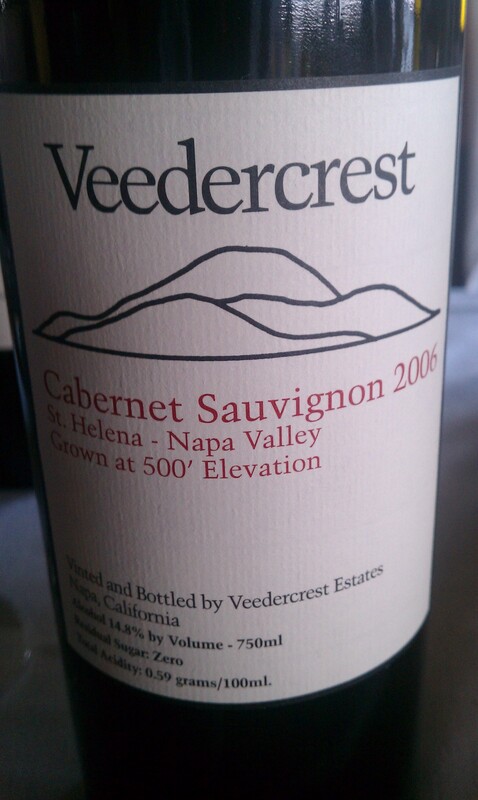 This Zin is sourced from Calistoga’s old vines. There is a 3% addition of Petit Sirah. The nose is of blackberry, raspberry, pepper and spiced jam. It has a medium body and the palate is a lot darker in flavor. There are also flavors of tar, cocoa, and chocolate. The strong tannins and balanced acidity make this the perfect food wine. Merlot is back, and in a big way. The fruit comes from vineyards in both Rutherford and Yountville. The nose is of boysenberry, cassis, blue and red berries and toffee. The fruit is a bit more restrained but balance with a plush and rounded mouth-feel that leaves my mouth watering. There are flavors of cocoa and mocha from the mixed barrels. This 89 % Cabernet Sauvignon sees 21 months of oak. It has aromas of black fruits such as cassis and black berries. The flavors start to develop on the palate with vanilla, baking spices, floral notes and tea leaves. The tannins are plush and the acid is perfectly balanced. 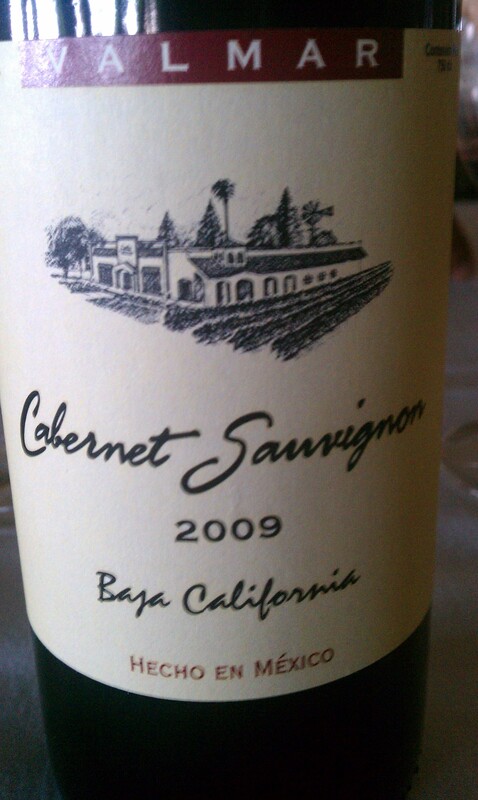 Here is a 100% Cabernet from their signature vineyards in Yountville. Great year, great vineyards and great winemaker = great wine! The Yountville select has aromas and flavors of mocha, black fruit, red berries, dusty earth and cherry cola. The tannins are ripe and there is really cool leather notes and earth flavors of mushrooms, black tea and tobacco. 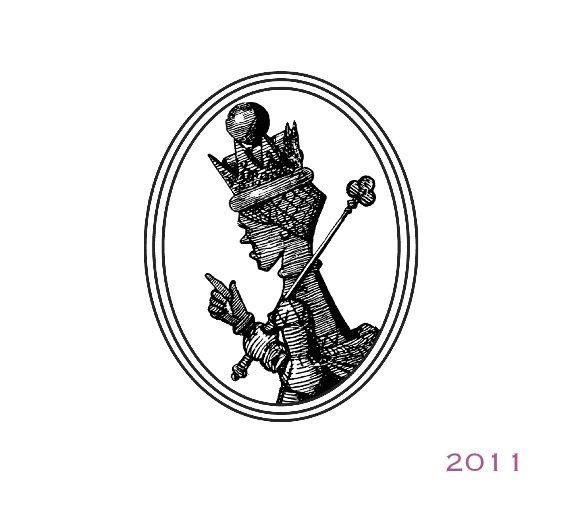 This winery was founded by, Alfred Baxter back in 1970. He was an amateur winemaker who received a little nudge from the famous Andre Tchelistcheff. 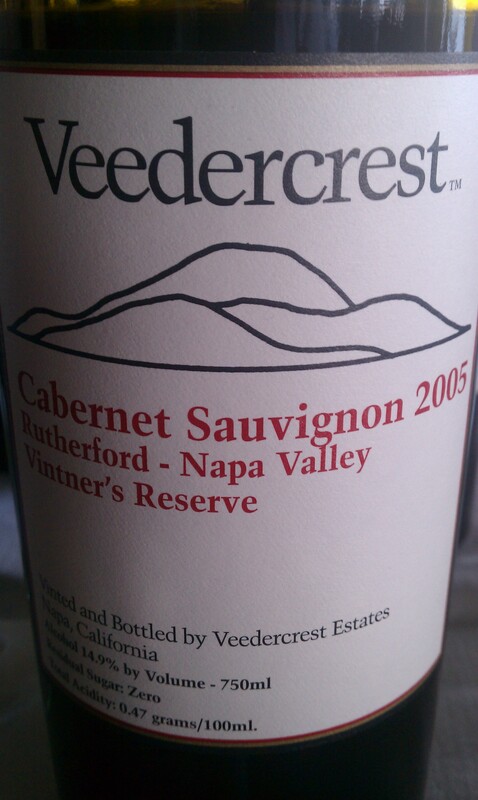 A simple dinner and wine tasting with Tchelistcheff led to the birth of Veedercrest Winery. Veedercrest received notoriety when their Chardonnay was selected to enter the 1976 Paris Tasting. The Chardonnay was acclaimed as the most French style Chardonnay of the tasting. Since then, Baxter has chosen to continue to make wine that resemble those wines of the ’70’s. In doing so he chose Chad Alexander of Robert Craig as his new winemaker. 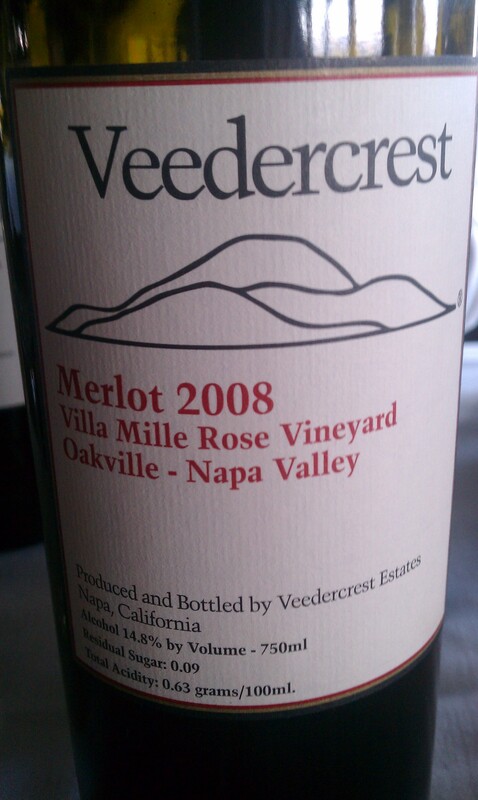 Today, Veedercrest wines is one of the few wineries that continue making wine with an old Napa nostalgia. Green Apple, nutty, creamy with some alcohol on the tongue. Balanced with fresh acidity, great finish and long. This merlot is pretty traditional with aromas of black fruit, plums, and floral notes. It has a medium body with toasty vanilla flavors. It finishes with a chalky minerality and dark chocolates. This approachable Cabernet is blended with 10% Cab Franc. It has flavors of plum, cassis and nuts. It has a medium body which is starting to show some oxidized bottle age flavors, which actually make it interesting and are not flaws. 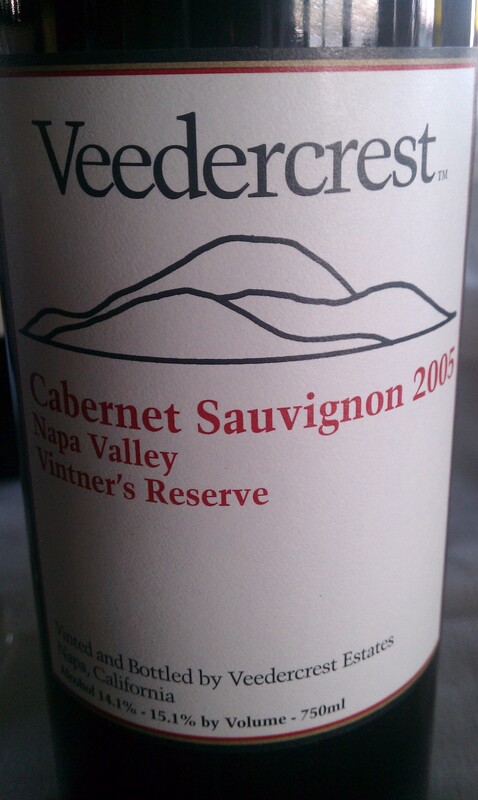 This Cabernet has come of age and is showing aromas of plums, cassis, vanilla and chocolate. There is a sherry-like flavor mixed with cherries. It has a lingering finish and sits warm on the palate. This is the best of the bunch, with toasted nuts, cocoa powder atop café mocha. The tannins are soft and the wine sits plush with lean acidity. The flavors start to show an herbal character of mint with a stony mineral on the palate. 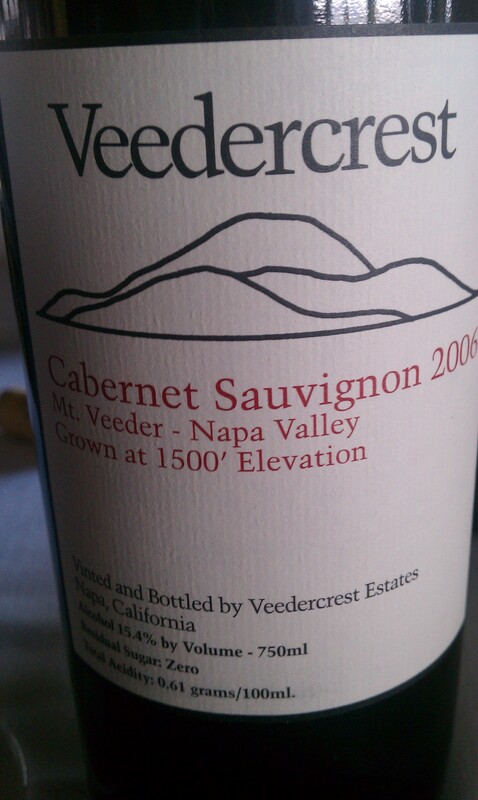 The namesake wine, from 1500 ft elevation. The nose shows earth, cocoa, and cherry cola. The nose is intense and that intensity carries over onto the palate with flavors of leather, turned earth, black tea and high acidity. Le Marin is the name given to the in winds that bring rain after a drought. This blend shows aromas and flavors of honey, flowers, melon and apricot. It is soft on the palate with a nutty flavor. It finishes with good acidity. This Chardonnay is a great example of Chile’s diversity. It has bright yellow straw color with aromas of rolling ricks, pear and citrus. The medium to full body is complimented with creamy texture and high minerality. On the finishes I kept getting more citrus notes with cantaloupe and lemon custard. This wine was just bottled a few weeks ago. It has a ruby color with aromas of black cherry, violets and baking spices. IOt is silky on the palate with earth and lavender flavors. Good fresh lively acidity. All of the grapes come form southern facing vineyards from a cool vintage. It has aromas of bread yeast, cranberry, floral bouquet and truffles. The fruit is tart and has an intense mineral flavor. 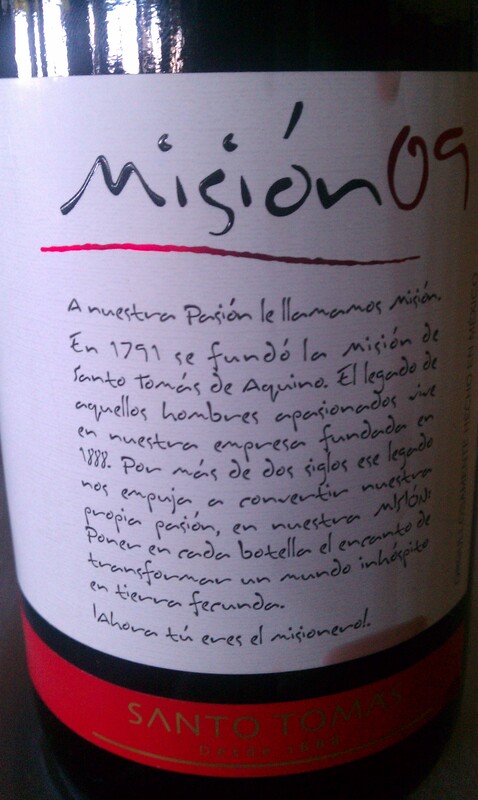 This wine is made of 60% Grenache, 30% Mourvedre and 10% Syrah. The fruit is of black fruits, but what is more pronounced is the aromas of saddle and cracked pepper. It sits lean on the palate with good texture and high mineral content. This Corbieres is made up of 50% Carignan, 35% Grenache & 155 Syrah. It has black fruit aromas with pronounced earthy, leather like aromas. It is floral and chalky. It finishes tart with herbs of Provence, parsley and rosemary. This is made of 80% Merlot and 20% Cab Franc. There are flavors and aromas of boysenberry, earth and menthol. The nose is bright and the palate is rich. On the finish I got a hint of caramel mixed with black earthy notes. Delicious. This is a project between Matt Ahern and Scribe Winery. 70% of the fruit comes from the Scribe estate in Carneros and 30% from the Russian river. The grapes are fermented separately and then aged for 7 months in neutral oak. It sees 30% Malo. The aromas are of pear, cream, vanilla and citrus. It has a rich texture with mouthwatering acidity. It finishes with fruity flavors of passion fruit, tangerine and apples. Clean! Some of the fruit comes from the Tina Marie Vineyard. The wine is cloudy with aromas and flavors of cherry cubed. It has aromas of red cherries, black cherries and on the palate, dried cherries. It finishes tart and chalky. This SB has a gold color, intense aromas. It looks oxidized but tastes fresh with ripe aromas of melon, peach and honey. It is full bodied and in the finish it takes on a Sauvignon Blanc character of citrus. If blind, I would not think SB. Something very different. This Mexican wine has aromas of plum, pepper, raisin, and strawberry jam. It is fresh and vibrant and easy to drink. It is not complex but great for the summer time with a little chill on it. This cab sees 24 moths of neutral barrels. It is a dark purple color with a ripe nose. The aromas are of cassis and plum. The wine is fresh and fruity with an ashy mineral, spiced licorice and salty. It kind of reminds me of a “Saladito”, a Mexican snack of dried salted plums.